Congee, one type of rice porridge is one of the most popular staple food in lots of Asian countries, sometimes also served as breakfast. 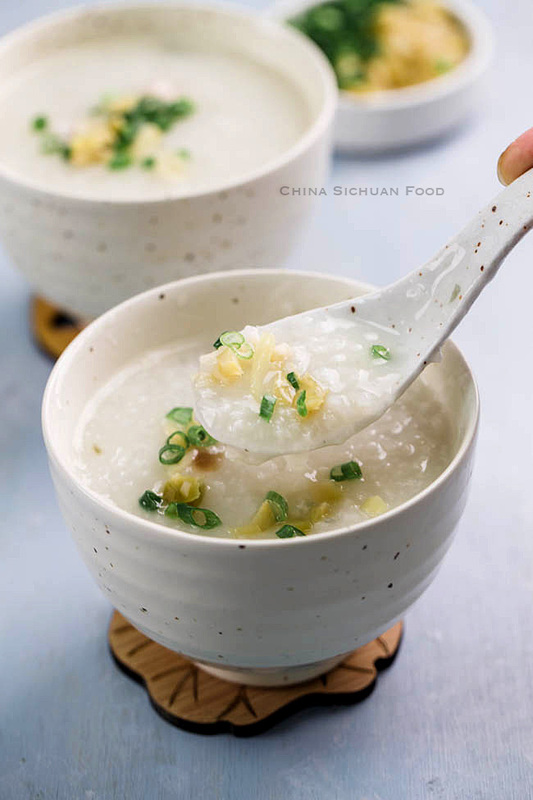 Congee can directly be served as a meal with other stir-fry dishes in summer days. We usually eat congee across the summer. But sometimes we add other grains and beans, like millet, mung beans and red beans. 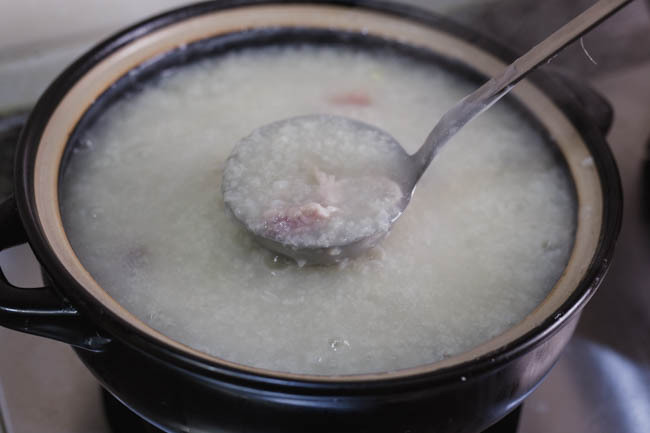 As a national dish, congee can be quite different in different regions of China. For example, in western parts, the most popular the rice grain usually still have some hardness and separated from the thin gruel. 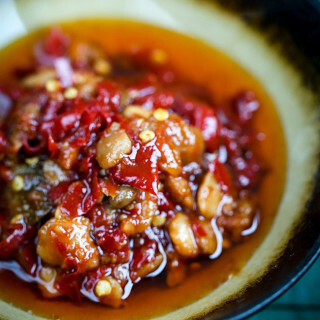 We usually cook a large pot and serve the whole family with other cold dishes or stir fries. However, congee in Cantonese cuisine has a different definition. 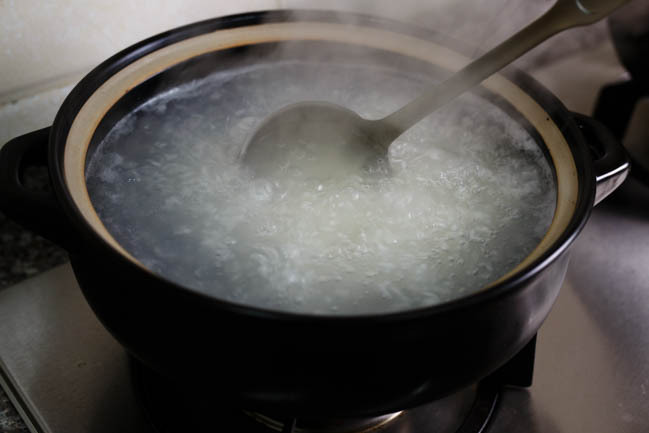 Cantonese congee is boiled with a relatively larger amount of water for a longer time until the rice grain and the water is well combined. Not pure water is adopted, people also use stock to cook congee. Sometimes, meat, seafood and vegetables are added and the congee can be served individually. Congee can be cooked in a large soup pot or, for an easier way, in a rice cooker or instant pot. Most of the instant pot and rice cooker has a congee mode. Clay pot is often used to make Cantonese rice porridge.Congee can be also made with leftover rice, which can greatly shorten the time. 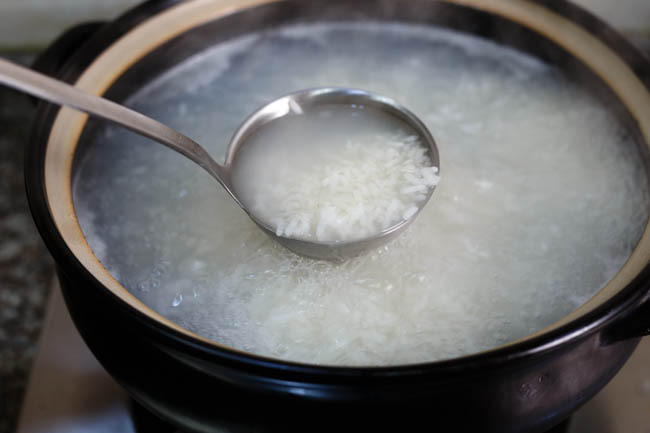 Freezing the rice grain before cooking can fasten the cooking process and make the congee much softer with broken grains. Another helpful tip is to soak the grains before cooking, also can speed up the process. The two methods work fine independently. Or you can freeze the rice after soaking in the previous and make the process even quicker. Mixing some oil can help to separate the grains and prevent them from sticky to the bottom. The rice can be added in the pot with cold water or boiling water. 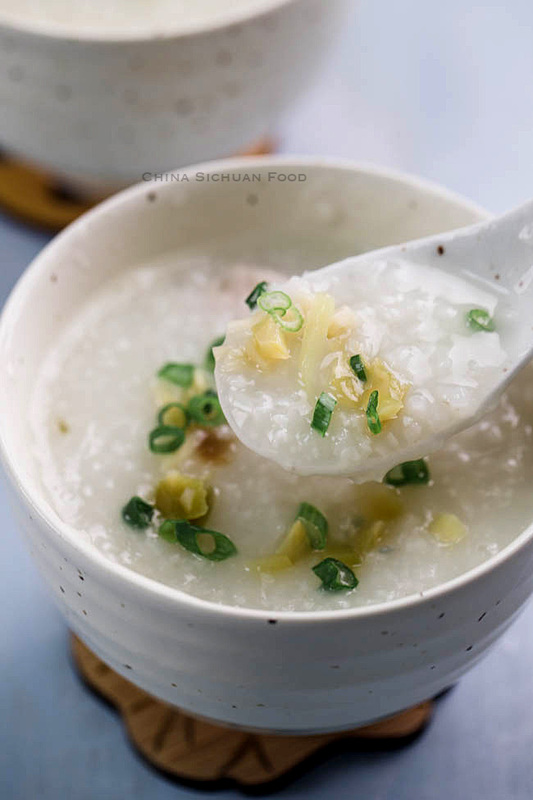 In addition to plain and match well with almost everything white congee, we can add green vegetables, seafood, chicken or mushrooms to bring the congee colorful and savory. Wash the rice in advance and then soak with clean water for 30 minutes. 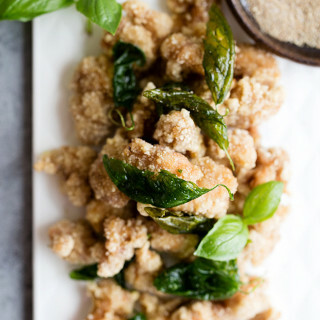 Mix with 1/2 tablespoon of vegetable cooking oil or sesame oil. Set aside for 15 minutes. You can freeze the rice in the previous day after soaking. Bring the water to a boiling in a pot and then add the soaked rice. Heat until boiling again and slow down the fire and continue cooking for 30 minutes. If you want the rice to be well broken, stir the porridge during cooking in one direction in the last 5 minutes. 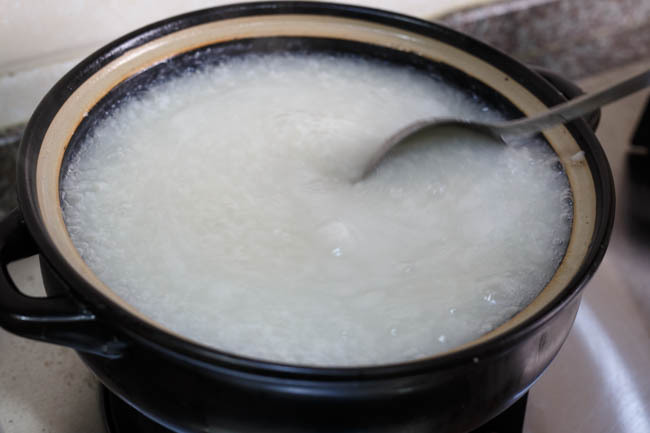 The congee can be served directly as plain white congee. Sprinkle salt, white pepper and shredded ginger shreds. Add century eggs and continue cooking for 5 minutes over slow fire. 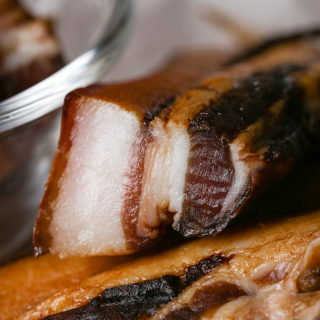 Turn up the fire and make the congee strongly boiling and then place the marinated pork slices. Turn off fire and stir the congee slightly. Let the pork to be cooked with the remaining heat of the congee. Then we get the tenderest meat. 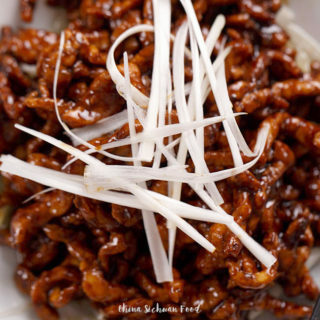 Serve with chopped Zha-cai and chopped scallions. You can also use fried shallot, toasted peanuts and kimchi as toppings. Wash the rice in advance and then soak with clean water for 30 minutes. Mix with 1/2 tablespoon of vegetable cooking oil or sesame oil. Set aside for 15 minutes. You can freeze the rice in the previous day. Marinate pork slice with a small pinch of salt, pepper and cooking wine. Set aside. Mix cornstarch with the pork slice. Turn up the fire and make the congee strongly boiling and then place the marinated pork slices. Turn off fire and stir the congee slightly. Let the pork to be cooked with the remaining heat of the congee. Then we get the tenderest meat. You mention freezing the rice. Is that done with the the dry rice or after soaking it? 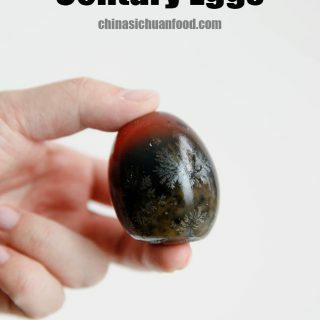 I’d really like to try the “savory” version, mostly because I’ve been looking for a recipe using century eggs for some time now. What cut of pork do you use for this? When serving the regular version in a meal together with a stir fry, do you serve a soup, too or does the congee serve as rice and soup in one dish? Good point, I get myself misunderstood. You can use either soaking or freezing directly the rice after washing. The two methods work fine independently. Or you can freeze the rice after soaking in the previous and make the process even quicker. I use pork tenderloin in this recipe. 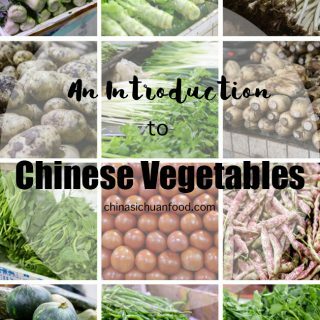 It actually is served along with steamed buns, some pickles or a few cold dishes as a breakfast or served as a staple food just like steamed rice for meals. Like most of the staple food in China, congee is very bland itself. 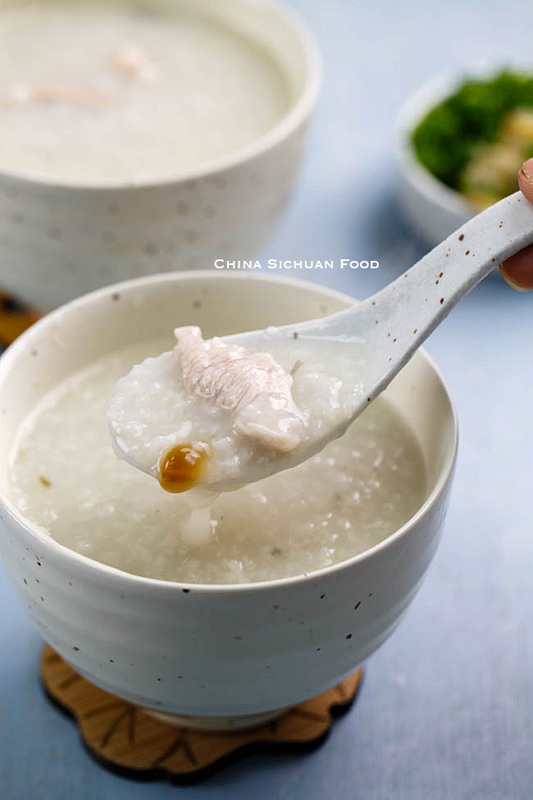 But when you add savory ingredients, congee can absorb the flavors and make the savory ingredients more understanding. 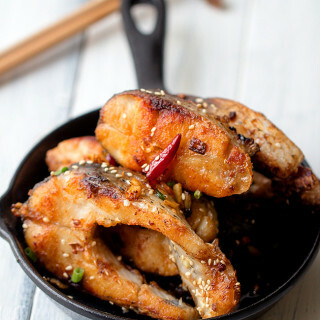 Chinese dishes are not served as single dish, they usually come as a group. While working and living in Nantong for a year. I was served various congee for breakfast daily. On the table was at least one bowl of a mixed crispy oily condiment made with peanuts, garlic, chili and various roasted crispy seaweed and other vegetables. 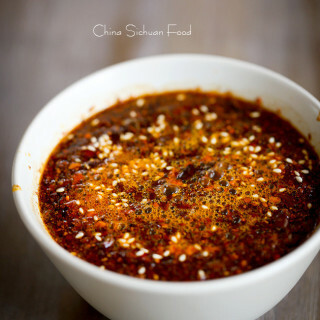 Do you know what what this congee condiment was called and have any recipes for it? 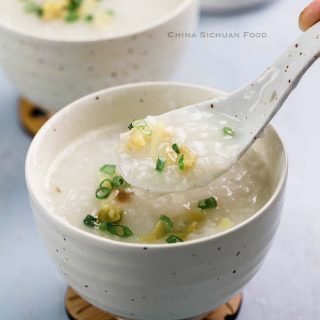 I have never seen it described in any Chinese cookbook or blog and I have a couple of congee cookbooks although they are mostly Jook recipes for health and wellness. Other congee condiment was whole peeled raw garlic, a huge bowl was placed in center of table. Co-workers from China wood pick up a whole raw garlic and place in the mouth to be slowly eaten while slurping the congee. I can image how good the congee breakfast can be. I cannot figure out the exact recipe for the condiments. We serve lots of pickles and salad with congee across the country. But you can have a look at this one. We do not like to eat raw garlic. Instead we prefer crunchy pickled garlic. Thanks for the reply Elaine! I have hard time eating raw garlic for breakfast myself. In Jiangsu, the food I was served tended to be rich and oily with an emphasis on freshwater fish and other denizens of the Yangtze delta floodplain. Su cuisine tended towards fresh but doused with rice wine and rice wine vinegars. And red oil too. 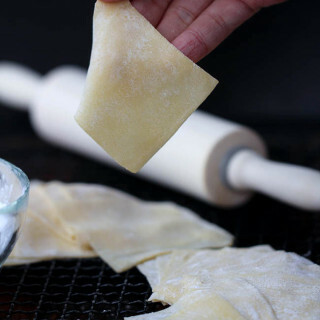 Not too many bloggers focused on these recipes so it is unknown to most westerners. 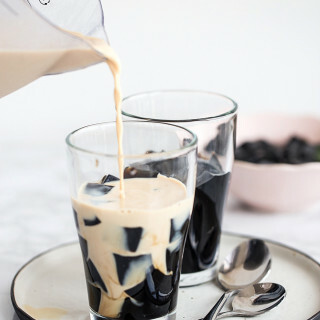 Although it’s pretty warm here in Los Angeles, I feel that I need to try this recipe this weekend. I’ve not had Congee since I was a child when my mom used to make it. Thank you for the recipe. btw: I love you site…. I make savory congee a lot in summer. 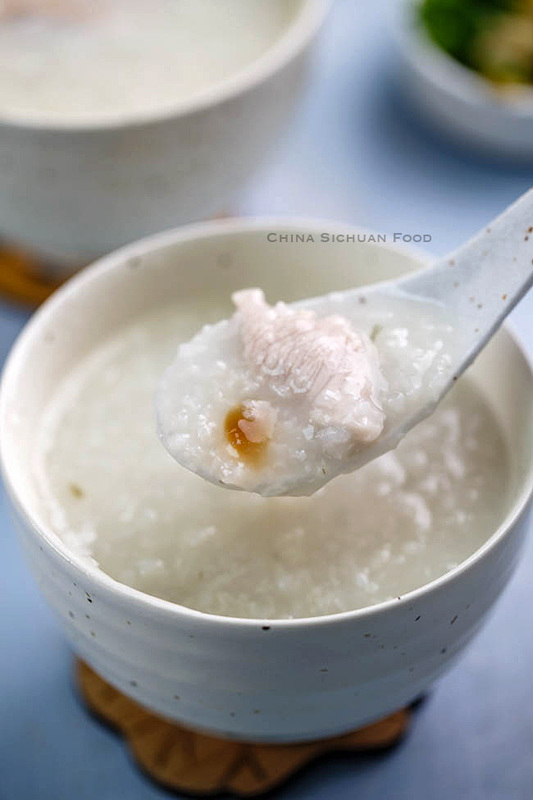 When you get the air-conditioner on, drinking congee is a very comforting experience in summer. Happy cooking! How do we introduce the minced beef? And can this dish be made with Basmati rice? Basmati rice works fine for sure. Process for minced beef is almost the same with pork or beef slices. Just stop fire when the congee re-boils.